Prionex® is a polypeptide fraction of highly purified dermal collagen of porcine origin with excellent protein stabilizing properties. Prionex® is prepared by partial hydrolysis under mild conditions. An extremely pure form of gelatine type A free from cartilage, bone and plasma components. 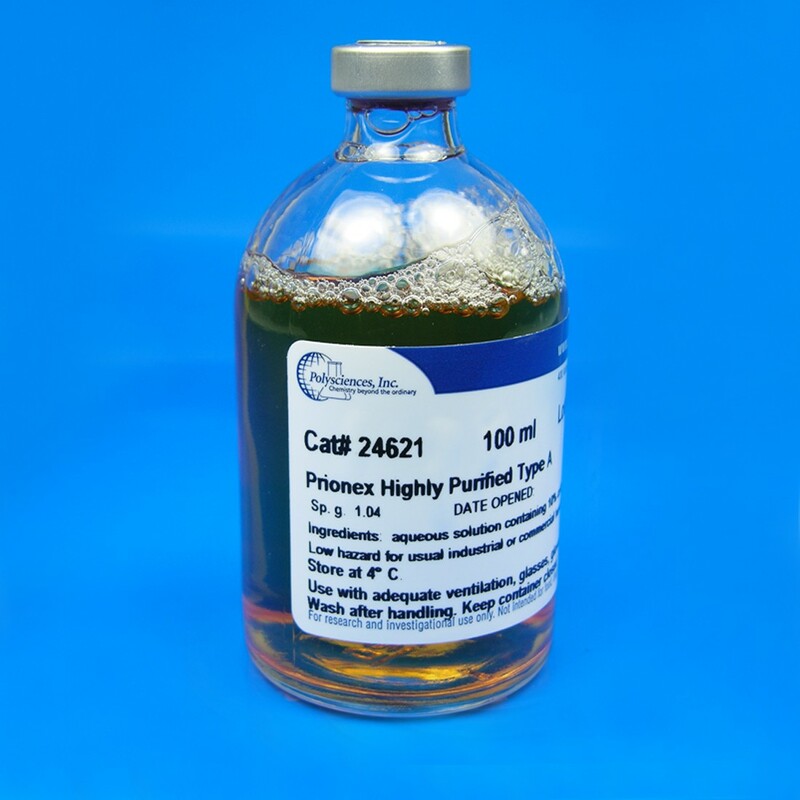 Due to the chemical nature and the standardized quality, Prionex® can be used as an inert protein stabilizer in any kind of application and as an additive for cell culture media. No risk of BSE, MCD and HIV infective agents. Prionex® solution 10% is a clear yellow, sterile solution.